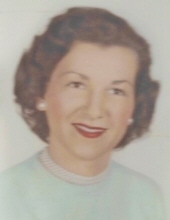 MANCHESTER-BY-THE-SEA – Rita M. (LeClerc) Brooks, 89, died Wednesday, October 31, 2018 at her home following a brief illness. She was the wife of the late Roland P. Brooks who died in 2002. Born in Beverly on April 13, 1929, she was the daughter of the late Hormidas and Florina (St. Pierre) LeClerc. She attended Beverly public schools and had resided in Beverly for many years before marrying the love of her life and moving to Manchester-by-the-Sea in 1960 where she raised her family and lived her life. Rita was professionally trained in voice (coloratura) and loved singing. She sang on local radio shows in the 1940’s and enjoyed singing in the choir for many years. She loved spending her summers at her cottage on Gorham Pond with her family, where many lifelong friends were made. Rita loved family gatherings as well, and being from a large family, there was always something to look forward to. There was always a lot of love and many smiles wherever she went, and she will be missed by all of us. She is survived by her daughter, Karen B. Shaw and her husband, Mark of Danvers; her son, Barry P. Brooks of Hayesville, KS; two grandsons, Tyler B. Brooks and Wesley Pelletier; a sister, Ruth Modugno; two sisters-in-law, Joanne and Florence LeClerc and many nieces and nephews. She was also predeceased by her daughter, Amy E. Brooks, two sisters, Theresa Giusti and Lauretta Camden and six brothers, Gerard, William, Raymond, Leo, Constant and Rene LeClerc. Her funeral Mass was privately celebrated on Tuesday in Sacred Heart Church, Manchester-by-the-Sea. Interment was held in Pleasant Grove Cemetery. Expressions of sympathy may be made in her memory to Care Dimensions Hospice, 75 Sylvan St., Suite B-102, Danvers, MA 01923. Information and condolences at www.campbellfuneral.com. To send flowers or a remembrance gift to the family of Rita M. Brooks, please visit our Tribute Store. "Email Address" would like to share the life celebration of Rita M. Brooks. Click on the "link" to go to share a favorite memory or leave a condolence message for the family.